The last couple of years I’ve started off each new year with a Whole30 challenge. For a bunch of different reasons like a lack of time (I’ve been picking up a lot of shifts this month), sheer exhaustion after the holidays, and kids who are really picky eaters, I didn’t get it together for a new challenge this time. Every time I’ve done a Whole30 though, my slow cooker has been my best friend. When you’re making every meal from scratch, one pot set and forget meals are definitely the way to go! Even though I’m not participating this year, I know lots of you are kicking off the new year with your own Whole30 challenge or clean eating resolution. 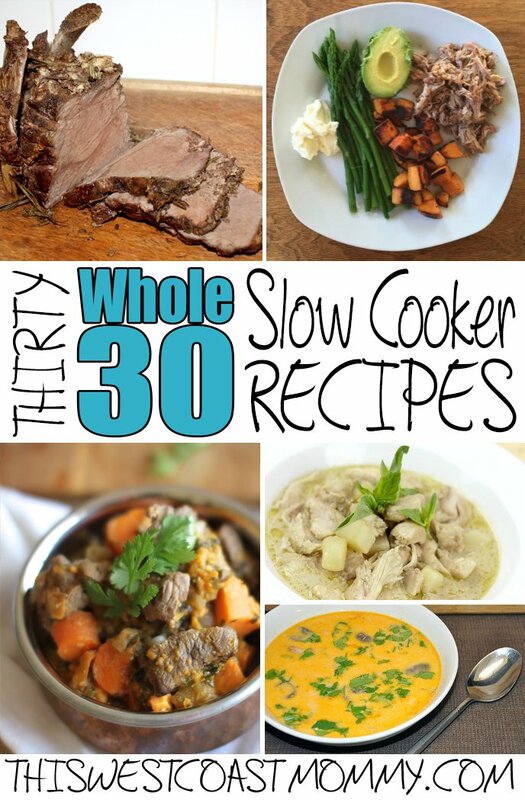 So here I am, cheering from the sidelines, with thirty Whole30 slow cooker recipes to carry you through your thirty days. 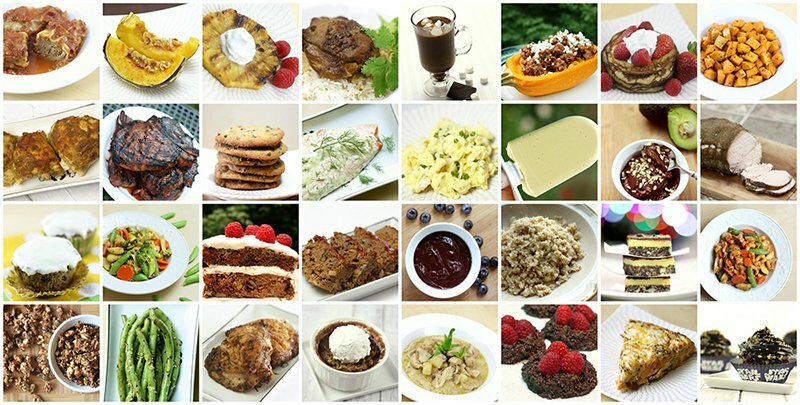 All these recipes are Whole30 compliant which means gluten-free, dairy-free, and sugar-free. No grains, no artificial sweeteners, no legumes, no alcohol, no processed foods period. But of course you’re not limited to making these during your Whole30 only. These slow cooker meals are healthy and delicious anytime! Flavourful Thai curry made simple in the slow cooker with Whole30 compliant curry paste and rick coconut milk. Jerked chicken with traditional jerk spices, but made easier in the slow cooker instead of grilled. This dish is perfect for the family that loves garlic! 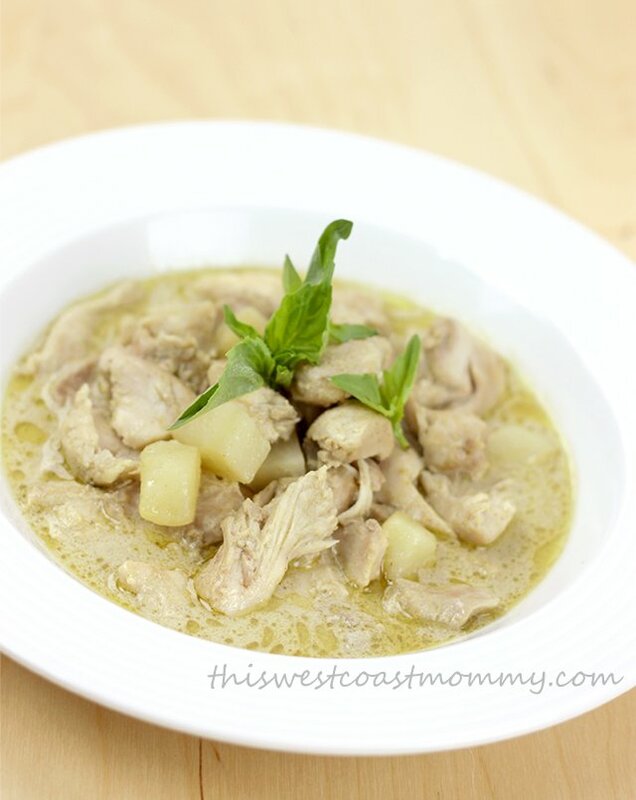 This version of Thai coconut chicken soup (tom kha gai) is easy to make in your slow cooker. Tom kha gai is traditionally eaten with rice. All the Mexican flavours we love over a simple cauliflower rice. Mmm! Lime, garlic, cilantro, and a touch of jalapeno for this flavourful soup. We love coconut curry! 5 minutes to make the sauce and let the slow cooker do the rest. If your slow cooker is big enough, cook an entire whole chicken with the bright flavours of lemon and basil. This savoury and versatile pulled pork has just the right amount of heat. This take on the traditional roast and gravy is also AIP compliant. Truly a throw everything in the slow cooker and leave it recipe. Spicy shredded pork with all the fixings. Korean style short ribs made simple and sugar-free. For this recipe, you’ll make your own barbecue sauce, but it’s worth it! Balsamic vinegar, garlic, onion, spices, and a dash of chili powder give this pot roast lots of flavour. No-bean chili made quick and easy. You won’t miss them in this hearty chili recipe. Brining your own beef is a little more work, but worth it in the end. Keep your brine sugar-free for Whole30. This shredded beef roast ditches traditional tomato-based sauces for lighter flavours of lemon and basil. Making “unstuffed” cabbage rolls in the slow cooker saves a lot of work without sacrificing the taste. This shredded beef recipe is seasoned with sweet balsamic vinegar and savoury Asian flavours. Hearty beef, carrot, and mushroom stew, thickened with arrowroot starch. Sweet, rich lamb curry with cooking instructions for stove top, pressure cooker, and slow cooker. Hearty chicken, sausage, and shrimp gumbo without the flour roux. Fall apart lamb marinated in Middle Eastern spices. Hearty, spicy chili made with lean venison and rich butternut squash. 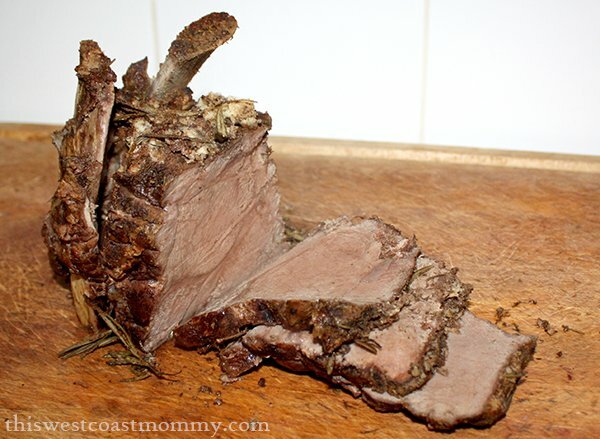 Tender venison roast seasoned with garlic, balsamic vinegar, dijon mustard, onion, and spices. 28. Creamy Crockpot Fish Chowder from And Love It Too! Coconut milk makes this rich fish chowder deliciously creamy. A final roasting in the oven makes the duck skin crispy. Ready to try something a little different? 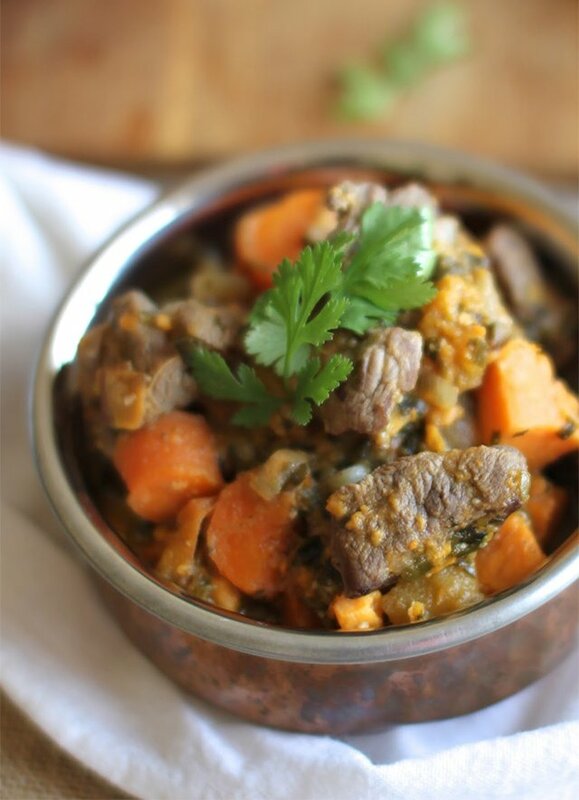 Try this flavourful Indian goat curry! Want more paleo and gluten-free recipes? Click here! Thanks for linking to my stuffed cabbage casserole! This list is great- I’ve been using my slow cooker a ton lately and needing new recipes, so I’m definitely going to have to try some of these! Oh yes, love my slow cooker, and your cabbage casserole looked so good I had to share. Perfect for weekdays especially when I know I will not be assembling full-on cabbage rolls! These look awesome. I *need* to rescue the slow cooker from my mom’s basement and put it to use! Amazing ideas – makes me want to get a slow cooker! Especially want to the try the brazilian curry recipe ! A slow cooker is a great investment. I use mine all the time! What a great roundup! Thanks so much for including me. Thanks, Eileen! I can’t wait to taste that onion apple gravy! Loving these suggestions! We always eat whole foods, but dinner tends to get boring about halfway through winter for some reason (same stuff, no grill, fruits are expensive, etc.). I know what you mean. It’s hard to stay motivated to cook every day when it gets boring like that. Hope this helps! I love using my slow cooker. These are great recipies. I will definitely have to try a few of them out! I’ve been looking for some more inspiration! Thanks. Hoping to start 2016 healthy and happy!!! I dont have a slow-cooker but really want one!! 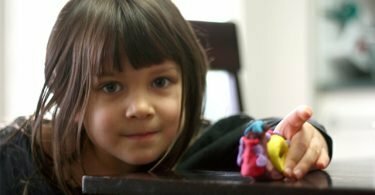 I am a single mom of 4 and super busy, a slow cooker would make my so much easier!! Yes! I highly recommend a slow cooker. It sounds like it would be a lifesaver in your situation. These look so delicious and healthy, and pretty simple to make too! Thanks for including a link to the recipe on my blog. 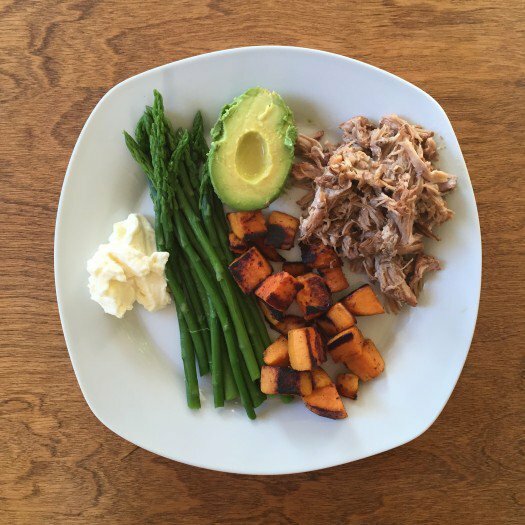 Whole30 is tough to do and a slow cooker + easy meals are a lifesaver!! These look awesome! I love slow cooker meals. It really makes things so much easier. I love slow cooker recipes. Just prep it set it and forget it till the beeper goes off. Great for a cold night or hot day as it does not heat up the kitchen. I am amazed all the things you can make in a slow cooker now from soup to dessert. Thank you for these recipes I am definately going to try some of them. I love to use my slow cooker. I cook my beans,corn beef ,chili and other food in the slow cooker. I love the other great ideas to cooking with my slow cooker. I came across your site through a giveaway you’re hosting, but I’m already in love with it, especially your posted recipes. 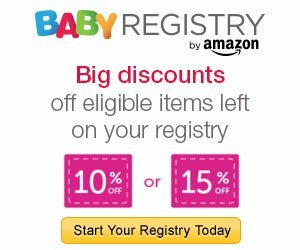 My family is Paleo, and I’m always excited to come across sites that offer recipes we can easily use. And I’m definitely a slow-cooker fan – they make life so much easier on those busy days. I don’t know which recipe to try first. They all look so yummy. I just mad some chili in my slow cooker. I put everything in the slow cooker before I went to work and came home and my chili was ready. I checked out the Slow Cooker Turkey Breast on the LivingLou site that the link took me too and it looks really good… except that we like our skin crisp. I imagine that one could just stick it under the broiler for a few seconds though. Has anyone tried anything like that? I love using my slow cooker, my favourite way to cook! Thanks for all the links! I make pulled pork all the time in the slow cooker. Is it getting a little boring? Yes! I need new ideas so the first one I’d try is the Crockpot Mexican Shredded Chicken, it looks like it has some zing to it & a new flavor we aren’t used to. I love good slow cooker receipes. I will surely be checking out these receipes for new ideas. My girlfriend introduced me to using a slow cooker and it is one of the best things she ever got me into. It is so easy to use and the food tastes great. Several of these are *not* whole30 compliant! I vetted all of them before listing them here. Which ones do you think are not Whole30? So many great recipe ideas here! I have owned a slow cooker for years but just recently started using it more often and love it. Even though there’s always a bit to finish off at the end, it makes such a nice drive home knowing the “heavy lifting” for dinner is already done. Thanks for so many great ideas – now I have some new ones to try! These recipes sound so delicious! I love coming home to the smell of tasty food! We did whole 30 and these meals would have been awesome for us. 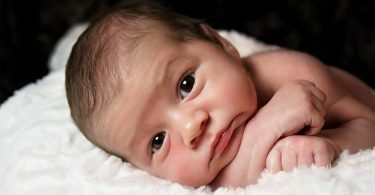 I am preparing for a newborn any day now, and I am stocking my fridge and freezer. There are some great recipes here for me to add to my stock. Thanks! Hi Liz, thanks for commenting! The recipe you’re referring to *is* actually Whole30 and paleo. There is no sugar or sweetener in the ingredients. I think you’re referring to a different recipe that the blogger has provided a link to for brining your own beef. You don’t have to do it the same way she does. Just use corned beef that’s been brined without sugar. I think I’ll Try the beef stew recipe – it looks taster than mine !